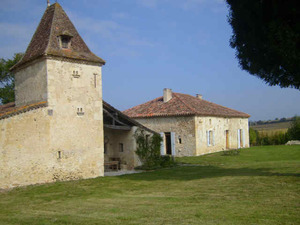 You will be very welcome in this XVIII century farm with its pigeon-house typical of this area,in the northeast of Gascony. We have two spacious and well equipped bedrooms ,with private bathroom to offer . Two sitting-rooms (wifi access), one with a big fireplace,will help you to savor a restful evening after your day in the country.